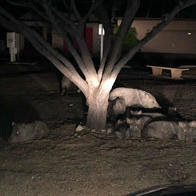 This family of javelina was spotted near the Community Center in my neighborhood. Just another evening picnic event for our peccary friends! 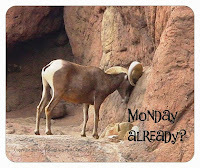 Photo courtesy of Victoria Ladin. YES, a bee hive but more of a holding cell! Tucson Rocks! We're #1! YAY! Feeling a little peckish, are we? Throwback Thursday ~ Our sunsets! 8 Years Later ~ Still Searching for the Answer! Lifesize Horse Created with Scrap Metal!